Steve Jobs said, “You can’t connect the dots looking forward; you can only connect them looking backwards.” He was right. On Father’s day, this Sunday, I will observe 37 years in full-time ministry. That’s a long time. Thinking about this upcoming milestone has made me a bit nostalgic this week. I have spent a lot of time looking backwards and reflecting on the dots that God connected to incline my heart to the nations. Interestingly enough, I was born in a small town called Mission and lived on streets called Holland and Globe when I was a kid. I grew up in a family of travelers and was exposed to the nations through stories and photos and letters and souvenirs sent to me by family members. All of this stirred my imagination and made me curious about the people of the world. When I was in elementary school, one of my teachers told us about Commander Whitehall’s Explorers Club and sent us home with membership information. She thought it would be a good idea for us to join the club so that we could learn about people in other countries. My Mom and Dad agreed and paid the $5.00 per month membership fee, a lot of money in those years. Every month, Commander Whitehall would send a package from some far-away place. Each package contained a map and information sheet, a small souvenir from the country he was visiting, and a floppy vinyl record with his narrative about that particular country. It was always exciting to hear Mom call from the mailbox to tell me that my package had arrived. Over the past few years I have found myself increasingly grateful for how God used the interesting letters and packages I received from traveling family members and also the monthly package from Commander Whitehall. As I have reflected on these treasures from my childhood and how God used them to stir my interest in the nations, God impressed upon me to do something to inspire kids today to love the nations. 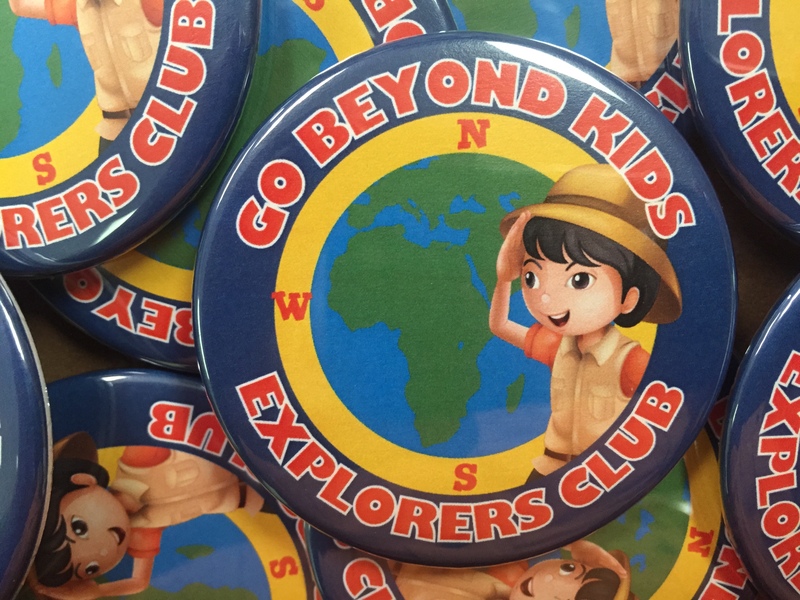 I am thrilled to announce that next week, our missions ministry will officially unveil the new Go Beyond Kids Explorers Club. 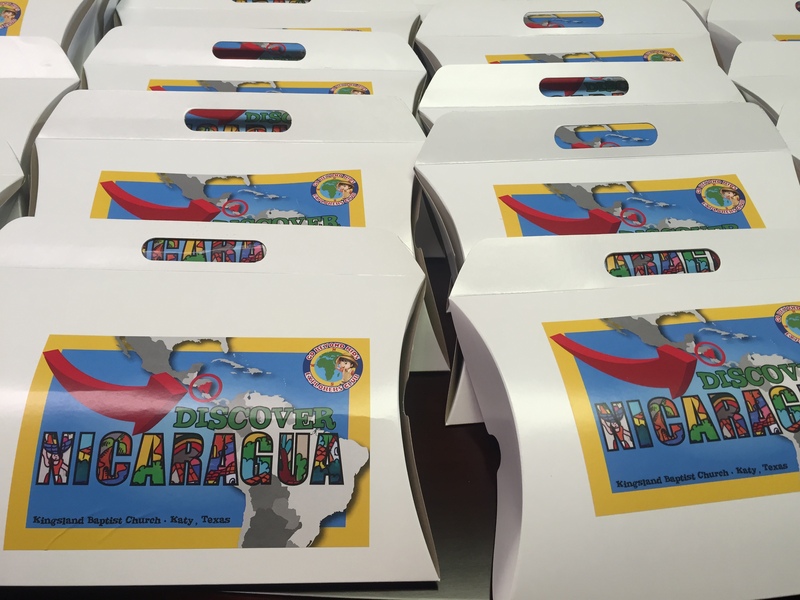 On Tuesday, we will give out more than 1,300 packages to kids who attend our Vacation Bible School. 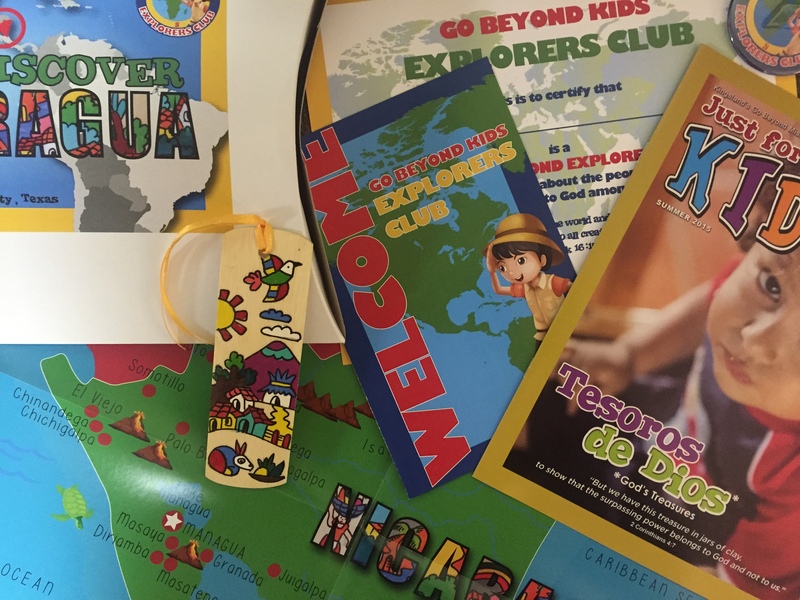 Each package is full of cool stuff for kids including a copy of our Just for Kids missions magazine, a Go Beyond Explorers Club certificate and pin, a map of Nicaragua (the first country we will focus on) and a souvenir from that country. My prayer is that God will use our Go Beyond Kids Explorers Club to touch the hearts of our kids for the nations. We want for our kids to understand that they do not have to wait until they are all grown up to change the world. God can use them right now to make the world a better place for kids in need who live in other countries. Our first Explorers Club challenge will be for our kids to learn about and to raise funds to help a school for special needs kids in Nicaragua. My personal prayer is that God will use our Go Beyond Kids Explorers Club to impact the next generation of Christ-followers. Perhaps one day one of our kids will look back and connect the dots — grateful for how God used our little club to inspire them to bring glory to God among the nations. I love this! You know I want to got to Nicaragua now! You would absolutely love Tesoros De Dios — an amazing ministry to special needs kids. So glad our kids will help this ministry this year. I know he will love this. Looking forward to having Reid back for VBS. Omar – Thanks for the decades in ministry and thanks for inspiring all generations to truly Go Beyond! Thanks, Brad. Glad to serve alongside you. I cannot tell you how thrilled I am to see this! As a mom of kid who has an unquenchable heart for missions, I’ve struggled to find resources for us both to learn and serve. This may be a game-changer for us! Thank you for your hard work and diligence so even our youngest may go beyond! Thanks, Valerie. This project is a dream come true for me. Excited to see how God will speak to our kids through this.